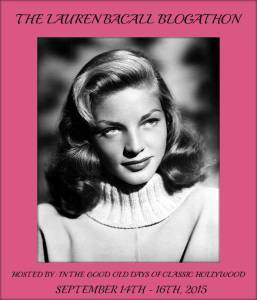 This is the final of 3 reviews that are part of the Lauren Bacall Blogathon being hosted by Crystal over at In The Good Old Days Of Classic Hollywood. My Take on it – Adapting mystery novels to the screen are never a simple feat because there is so much conveyed on paper that just can’t be done properly on screen. This is a very cleverly written mystery plot that mostly consists of interviews and flashbacks. The cast is amazing and they all play very eccentric characters that are nicely fleshed out during each individual interview. Two standouts are Sean Connery as a former officer and Lauren Bacall as a divorcee. 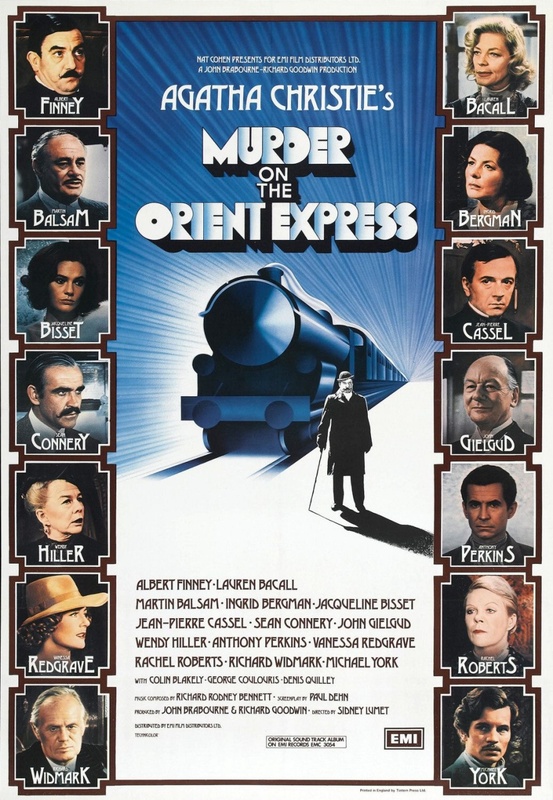 Albert Finney was an interesting choice as the detective Poirot, since he seems a bit wrong for the part, but they could have done a lot worse. It’s important to follow all of the interviews carefully in order to understand the convoluted plot line, but it’s worth it in the end. Bottom Line – Very cleverly written murder mystery that works well on screen, but feels that it would be even better on paper.. Amazing cast of actors playing some very eccentric characters. Finney was a strange choice as the lead, but they could have done much worse. Recommended! I agree about Albert Finney being an odd choice for Poirot, but I think I have been spoiled by David Suchet’s work on television. I’ll bet this one is better on paper. Oddly enough, since I am a railroad fan, this is one book I have never read.